The United Kingdom is unlikely to secure full access to the European Union's single market unless it allows unrestricted access to its labour market for EU citizens, Finance Minister Michael Noonan has said. Pro-Brexit British politician Boris Johnson said yesterday that Britain could secure full access without signing up to free movement elements when it leaves the 28-nation EU following last week's referendum. As the only EU country with a land border with the United Kingdom, Ireland is likely to play an important role in negotiations. 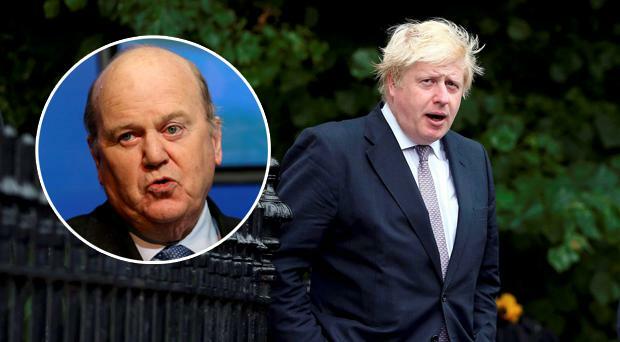 "From the precedent it doesn't look as if that option is open, but I can see why he is saying it even though the positions are contradictory, that's what he campaigned on" Michael Noonan told journalists at a conference in Dublin this morning. "The precedent in Norway was that when they got access to the full market, they had to pay the levies that countries pay to the European Union and as well as that they had to give free labour market access," he said. The initial shock from the UK's Brexit vote has been contained for Ireland, he said. At the opening of the National Economic Dialogue, Mr Noonan said there was "no sense of panic" here. "The NTMA are quite happy that they can fully fund the country," Mr Noonan said. Taoiseach Enda Kenny said he was "saddened and disappointed" by the outcome of the vote, but that he respected it. He said there would be no impact on the available fiscal space for Budget 2017. But he said the outlook for the medium term was more uncertain.